Prevare LLC is a New England leader in complete IT solutions. With over 30 years of client service experience, Prevare is an authority on outsourced IT and technical services including design, setup and support. The company is focused on matching talented technical IT professionals with industry-leading technology to achieve superior technical outcomes for its clients. Prevare helps its clients take IT beyond the realm of basic services and turn it into a strategic differentiator. 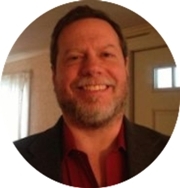 With over thirty years of experience in technology and technology management, Christopher Haight offers a unique combination of technological expertise and operational excellence. As practitioner and professor, he leads Prevare with the belief that success is built one client at a time. Chris lives in Danvers, Massachusetts with his wife and two children. CEOCFO: Mr. Haight, what is the concept and vision of Prevare? Mr. Haight: The concept and vision is to help our clients use technology to drive improvements and competitive advantages. CEOCFO: Many companies say they have the same general thought. How does that really translate from a nice vision, to day-to-day action when you are working with a customer? Mr. Haight: To some extent, it is really just a matter of always trying to keep in mind how IT works for the business. I think that it is easy for IT people in general to lose sight of that. Therefore, even day to day it needs to be a guiding principal how we address issues. As an example, if you have got someone with some kind of a challenge that you are trying to address, you need to be aware if you are going to spend twenty or thirty hours of the client�s money, is it really a business value to this particular challenge or have you just decided as a technologist that you have to get the answer. The other side is ensuring that we are finding the best solution to a problem. For example, if someone comes to you with a problem scanning a document so that they can then email it out, while you may need to fix their scanner, you also may need to ask them why they are not just creating a PDF directly. Therefore, we also have to be aware of the business process behind it and whether we can add some insight that can improve that. CEOCFO: Is there a typical client, other than small to midsized businesses? Mr. Haight: For us, the thing that makes them typical to Prevare is the fact that technology really is a driving force in their business. Typically, we are not looking for clients who will occasionally use technology because they need to write a letter or two. We have a few of those, but again, those that are really leveraging technology, where they have a great deal of automation or they are using ERP or an ERP type system, or somehow IT is integral to their business, that is what tends to make them a typical client for Prevare. CEOCFO: Do many of your clients take advantage of the full range of your services or do they pick and choose? Mr. Haight: Many of them pick and choose. I think it is probably our fault more than theirs. I do not think we do a good job of letting our clients know all of the things we are capable of doing. Sometimes we have gotten introduced to solve a particular problem and it is nine months or a year later when they say, �Oh, you do that too? Well, we could use some help there!� However, clients do tend to take advantage of all the services we offer that are a fit for them, once they are aware that we offer those services. We do not always do a good job of letting clients know everything that we are capable of doing. CEOCFO: Are there plans to change that? Mr. Haight: Yes. We are trying to be more vocal with clients and have the business staff follow up after service calls and relay some of the other things that we do. We are just starting up a Constant Contact, which will help address that. That is, we are sending out emails highlighting our various services, which will allow clients to become aware of the range of our offerings. CEOCFO: What is your geographic reach? Mr. Haight: It is predominantly within fifty miles of Beverly, Massachusetts, where we are located. I have tended to refer to it as the greater North Shore. That being said, we do have clients that we support across the country and even in other spots around the globe. That tends to be the case when we have solved a problem locally and have been referred to another division of the company at a location further away. CEOCFO: Do you do much on premise these days? Mr. Haight: Somewhat less than we used to. However, part of our service is on site support. I also find that even when you can do everything remotely, there is still value to being on site. That is because when you go back to the concept of really trying to drive a business differentiator via IT, if you do everything remote you do not have the kind of interaction that lets you discover the client�s additional needs. Remote work tends to be about how you support what is out there already or react to a problem. When you are on site, when you are walking through the offices to the person with the problem, you will hear and notice things that help you make suggestions to the client. That, coming from the technologists in the firm, has far more value. Even if you have a salesperson meeting with the clients once a month, it is not going to give that same insight. It will not allow that discovery and sharing of the fact that all of their people are constantly in line at the printer, for instance. They may not even be aware of that or may not notice. Therefore, there is some merit to being on site and we do try to go on site. Sometimes it is not an actual requirement, just the ability to deliver that additional differentiator. CEOCFO: What are some of the trends that you are noticing? Are there changes people are starting to make and also perhaps areas that companies and small businesses are still not embracing that should be utilized? Mr. Haight: There are a couple of trends. One of the trends certainly that everyone is talking about, is the move to the cloud and hosting a solution. I think there is a big trend moving that way for things like email. However, what I am seeing is that small businesses in particular are not really considering it for their full suite of applications. While it is not a fit for everyone, there are additional applications that could move to the cloud. I think that there has been a slower move for things that are not email when it comes to the cloud. There are some exceptions. Salesforce.com is ubiquitous and email tends to be cloud-based quite often. However, people are not looking at moving their line of business applications to the cloud. I do not think Microsoft is seeing Office in the cloud, at least in the small business world, as much as they would like. Again, while it is certainly not a fit for every small business, I think more should be looking at it and considering it. I know some are simply concerned with yet another monthly bill. Others are concerned with security. Others just frankly have not given it a thought. CEOCFO: Do you find that for some people it is just the knowledge that any time you make a change there are going to be problems, and lots of them, no matter how well you plan? Mr. Haight: Yes. I think you are probably right. Again, one of the things that tends to count sometimes is that sometimes it is worth waiting until there is going to be a challenge or a change. Therefore, maybe move your ERP systems to the cloud when you are ready for the next upgrade, because anyone who is going to say, �We will deploy your new application, whether it is in the cloud or locally, and there will not be disruption�; they are not being entirely honest. Certainly, we have had some very, very smooth deployments. However, even when the deployment is smooth, you have still got the end users dealing with all the changes in the new version of the application. CEOCFO: Do you find many of your regular customers coming to you proactively, before they would make a change, so that they understand how to do it and you can help them and walk them through or is it still calling you only when there is trouble? Mr. Haight: We do have a proactive relationship with most of our clients. I think it is because we have become that trusted advisor. Therefore, people do tend to call us up and say, �We are thinking about changing our accounting system� or �We are thinking about moving to the cloud. What do you think about that? What should we be doing?� It does give us an opportunity to help them deal with that, rather than get halfway through and say, �Wow! Okay, now where do we go?� In terms of how to get people to that point, a big part of it is being that trusted advisor, getting to the point where they see you as part of their extended management team on the IT side of things. Some of it is careful corrective action. When someone trudges forward without you and then comes to you to pick up the pieces, human nature is to do one of two things. One is to flail about and say, �See, this is why you should call me, what were you thinking!� The other one is to shut up and say, �They are a customer, let�s just fix things�. I think a measured difference between the two is a better way to get corrective action. What we try to do, whenever there is a challenge, whether it is our deployment or a client�s, is we would bring the client in and try to calmly, after the fact, show them why it would have been better to come to us in the beginning. We would show them the disruption that they had because it was not planned out. We also demonstrate that we recognize that paying two or three thousand dollars for planning is something that many small businesses would like to avoid. However, we can show them where they have spent twice that money because there was no planning. People do appreciate that. Often, the next time they will bring you into the process earlier. CEOCFO: How do you evaluate new technologies? What goes into the process for you, at least to know what to keep on the radar screen? Mr. Haight: That is a difficult question. It is always out there. Part of it is having pretty regular conversations and really reading quite a bit. It is difficult to pick and choose. I think the tendency is to try to be aware of as much as possible of what is going on out there. I guess I would say that everything is on the radar screen; it is a question of how much attention you pay to it. Therefore, the idea is that you need to go to some of the industry shows and read magazine articles. I could not even begin to imagine how much I read online every day. We try to look at the technology and determine how mature it is, how much it would apply to our client base or to ourselves. As a technology matures, it may become more likely to be applicable, then we need to start to pay it more attention and bubble it to the top. CEOCFO: Why should people pay attention to Prevare? What sets the company apart? Mr. Haight: Two things set us apart. One, we are very technically proficient. We have always held to the concept of excellence from a technology perspective. We work very hard to have a wide breadth and depth of technological capability and awareness of what is around us. The other piece is truly making IT a driver of business excellence. This is our reason to exist. I think everyone preaches that to some extent, but we really do look at everything we do in terms of how does this impact the business. We, far more than many experts, tell people not to do the project that they are thinking about doing, because we do not believe it is going to provide business value. While that may mean walking away from five to ten thousand dollars in revenue, I think it serves the client better to say, �You do not need to do this email upgrade. Your system is working well. A new version is going to be out soon, so it would be better to hold off.� We really do keep good business drivers in mind, as well as what is best for our client. I think those two together make a pretty strong differentiator.